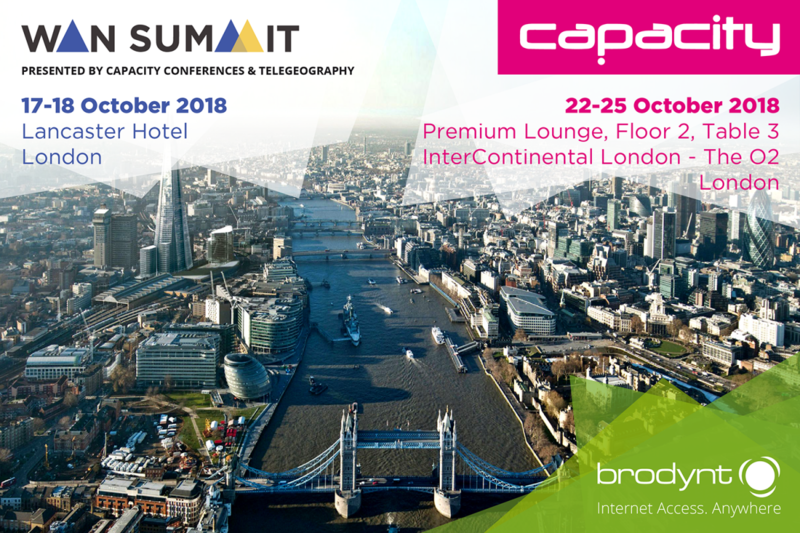 Brodynt is headed to London from 17-25 October for the Wan Summit and Capacity Europe! Representatives Marcus Muñoz Bosch, Co-Founder, Albert Bosch, Director of Sales, Mario Bernal, EMEA Strategic Growth, and Toni Perelló, EMEA Strategic Growth will be in attendance. We are excited to be back at both of these excellent events, and look forward to seeing you there. WAN Summit London brings together corporate WAN strategists and service provider executives to build new relationships and discuss the latest enterprise network design trends, emerging technical challenges and the business demands that shape today’s hybrid WAN strategies.